Acupuncture is the insertion of needles into the body at various highly energetic locations (acupoints) with the goal of creating balance and health. 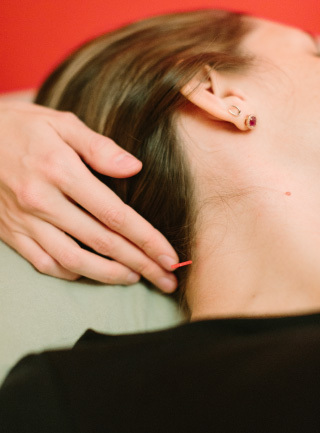 Your body has over 350 acupuncture points, enabling true individualization of treatment. One of the wonderful things about acupuncture is that it addresses both the "root and branch" of your condition- meaning the underlying cause of imbalance and the symptoms that manifest as a result. Acupuncture taps into the body's own innate healing abilities, activating and strengthening them in such a way that your body is reminded of how to restore itself to balance. Orthopedic Issues: neck, shoulder, hip, knee, ankle, spine, etc. Acupuncture has successfully treated many other conditions. Feel free to call or email me to discuss your specific issues. This depends on many factors, such as the severity of your condition, the length of time you've been dealing with it, and your overall health. Acute issues such as a common cold may only require 1-2 treatments, while more long-standing issues may require ongoing treatment. 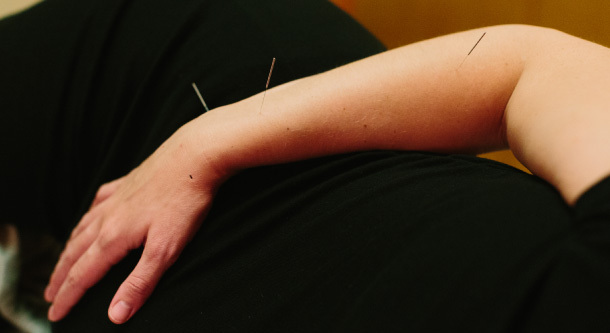 On average, after 5-6 treatments (usually once to twice weekly) both you and your acupuncturist will have seen some positive changes and can re-assess the need for further treatment. First, we will discuss your condition as well as what progress has been made and any additional concerns you may have. Next, I will insert anywhere from 10-20 sterile, stainless steel needles, primarily on the arms and legs. Acupuncture needles are nearly hair-thin, causing you little to no discomfort. The needles are left in for about 30 minutes, during which you are encouraged to meditate, breathe, or even take a short nap. Other treatment modalities such as tui-na (Chinese medical massage), gua sha, moxibusiton, or cupping may be incorporated into your session. Patients frequently leave their acupuncture treatment having experienced a decrease in symptoms as well as feeling deeply relaxed. Can Acupuncture Really Induce Labor?